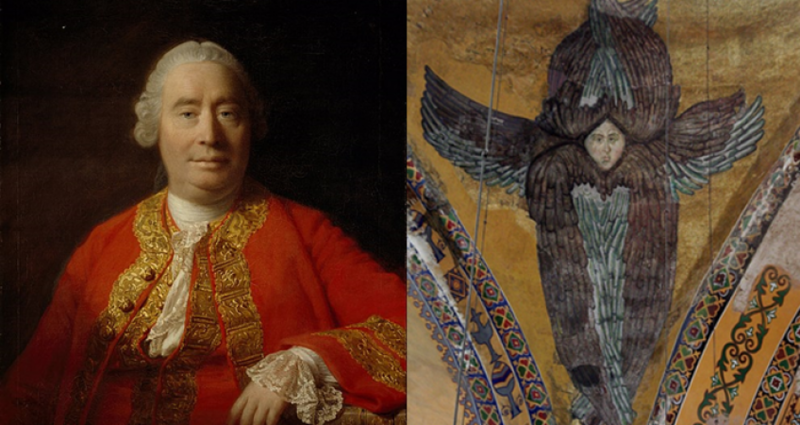 The 18th century Scots philosopher David Hume had some strange ideas. Taking a boldly skeptical approach to almost everything, he doubted that there is a permanent self that continues through time or that there was real cause and effect in the external world. He thought morality was grounded in nothing higher than what is pleasing and has social utility, that philosophy is inevitably mired in self-contradiction, and that “reason is, and ought only to be, the slave of the passions”. He also asserted the ‘scholasticism’ of the great mediaeval thinkers actually retarded the progress of knowledge, and that reports of miracles are not to be trusted. He declared that “the life of a man is of no greater importance to the universe that that of an oyster”, and that no argument for God or supposed revelation from God is to be believed. Not surprisingly, I don’t quote him very much in my homilies! But he did raise some important questions and make some important points, and one was about the limits of human reasoning that came to be known as ‘the inductive fallacy’. Hume thought we can never reliably predict something will happen based on what has gone before; this would be to presume that “instances of which we have had no experience resemble those of which we have had experience”. Just because last time I let go of my crosier it fell to the ground doesn’t mean that will happen the next time. Next time someone might catch it, or some exception to the usual ‘law’ of gravity emerge. You might look at all the swans in Britain and conclude that all swans are white; but visit Western Australia and you’ll discover some are black. Though Hume might not like the comparison, he sometimes reminds me of Jesus’ notorious inversions of our human paradigms. Ask Jesus who your Jewish neighbour is, and He’ll tell you some Samaritan. Ask who the Blessed are, and He’ll name the most cursed. Ask whom to love and He’ll suggest your enemies. Ask if you must really forgive someone seven times a day and He says no: make it 7 x 77 times! Delve deeper and you get the illogic of a Shepherd leaving 99 sheep in search of one, of a Father more prodigal than His Prodigal Son, of a Master who serves. Identify a tax-collector, sinner or outcast, and that’s where Jesus will pick for dinner. This King of kings is born in a stable, with the lowliest of courtiers, and a gibbet for His throne. Hume-like, Jesus challenges our commonsense and values, our efforts to capture and domesticate God, the world and ourselves, our iimagining we know from experience what God will do next. In our Gospel (Lk 5:1-11), Simon has paid out his nets again and again, all night through, and caught nothing. Now Jesus tells him to do so once more. Commonsense tells Simon this time will be no different. But something about Jesus, perhaps something He taught from the boat, leads Simon to obey the direction. And what happens? Simon and his mates catch so many fish it nearly sinks both their boats! Human reasoning pales in comparison with divine logic, human finitude compared to divine generosity. What’s happening here? Is Jesus just showing off? No, He is being a patient teacher like Hume, but He’s also opening our horizons more broadly than that supposed sceptic dared to do. Hume’s identification of the limitations of inductive reasoning, of cause-and-effect physics, and of human evaluations, should have opened him to the possibility of God, of grace, of miracles. I was a man of unclean lips, says Isaiah, and by divine grace I was made a prophet (Isa 6:1-8). I was a persecutor of the Church, says Paul, but by God’s favour I was made an apostle (1 Cor 15:1-11). 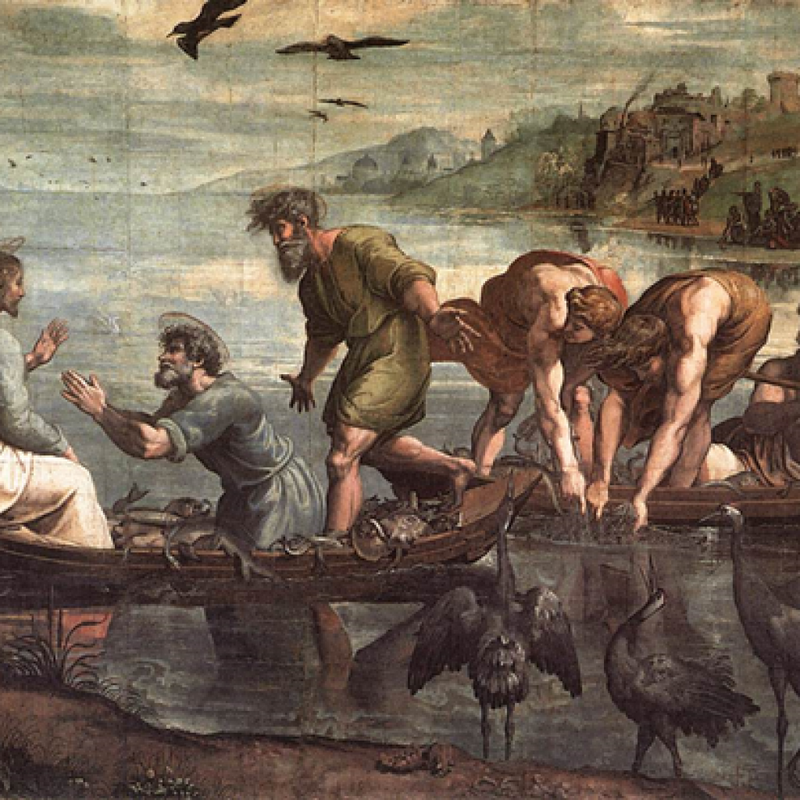 I was a mere fisherman, says Simon, but by God’s sharing of His divine life, I am made a fisher of men. Ordinary things ordinarily happen. But by God’s grace, extraordinary things sometimes happen also. So the first lesson for Mr Hume, and for us too, is that God can indeed change what we are. A second lesson from our readings is that God can change what we do. Isaiah’s heart and tongue are cleansed of their sinfulness so he can speak the truth. Paul’s heart and tongue are relieved of their hardness so he can preach mercy. Peter’s heart and tongue are redirected from their purposeless-ness so he can assume a new mission. Grace is God sharing Himself with us – His insight, His life, His power – and these are the wherewithal for mission. Without Christ, as Paul said, Isaiah, Paul, Peter, would come to nothing; without grace, they’d never be prophet, preacher or pope. Grace enables, even as resistance to grace disables. And we, too, are offered such conversion, therapy, inspiration. We, too, have new opportunities, new purpose, opened up for us by Christ. Yet in the face of such new possibilities, such divine miracles, we can be overwhelmed. In glimpsing heaven the young Isaiah could only moan: Woe is me! What a wretch am I! I am lost – a man of unclean lips from a people of unclean lips, who has glimpsed what none should see. On at last receiving the Gospel, Paul could only call himself the least of apostles and worst of persecutors. On seeing the miraculous haul of fish, Simon Peter could only fall on his knees and beg Jesus to leave because he was unworthy of keeping company with him. We, too, can be ashamed, almost paralysed by God’s bigness and our smallness, His omnipotence and our powerlessness, His holiness and our sinfulness, His gratuitousness and our selfishness. As the Living God approaches our instinct may be to flee – into shyness, pusillanimity, Hume-like scepticism. But that is not the only or the best response. We can instead join Isaiah’s seraphim (and our new choir boys) in singing God’s praises, join Paul in preaching His saving Gospel, join Peter kneeling in confession and adoration. Welcome to St. Mary’s Basilica for the Solemn Mass for the 5th Sunday in Ordinary Time. Dominus Deus Sabaoth; Holy, holy, holy Lord God of hosts. Heaven and earth are full of your glory. Today seven new seraphim – or are they cherubs? – Adrian, Bryan, Joshua, Hugo, Matthew, Nicholas, and Skyler will be admitted to the St Mary’s Cathedral Choir. It might not be the choir of heaven, but I can say in all humility and admiration it is the finest in this land and at 200 years old is also the longest standing. In welcoming them, I also welcome their parents, family and friends. And to all our regulars and our visitors a very warm welcome!